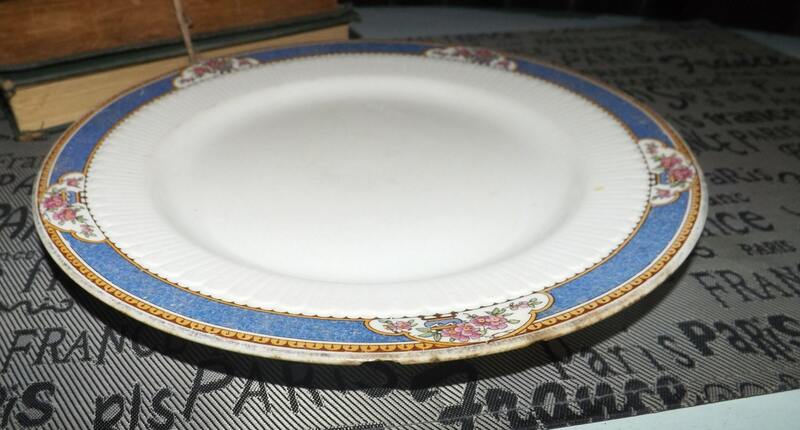 Almost antique (mid 1920s) Wedgwood Imperial Ivory Astor hand-painted art-nouveau luncheon plate. Blue band, pink flowers. Impressed mark. 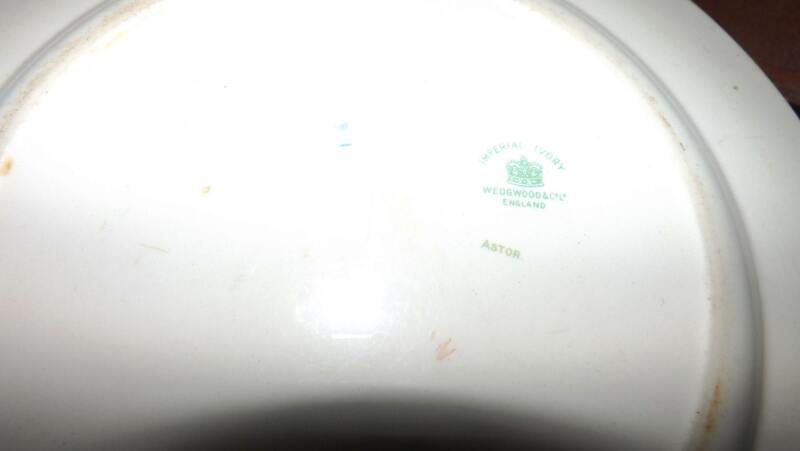 Almost antique (1925) Wedgwood Astor (older) hand-painted luncheon plate. 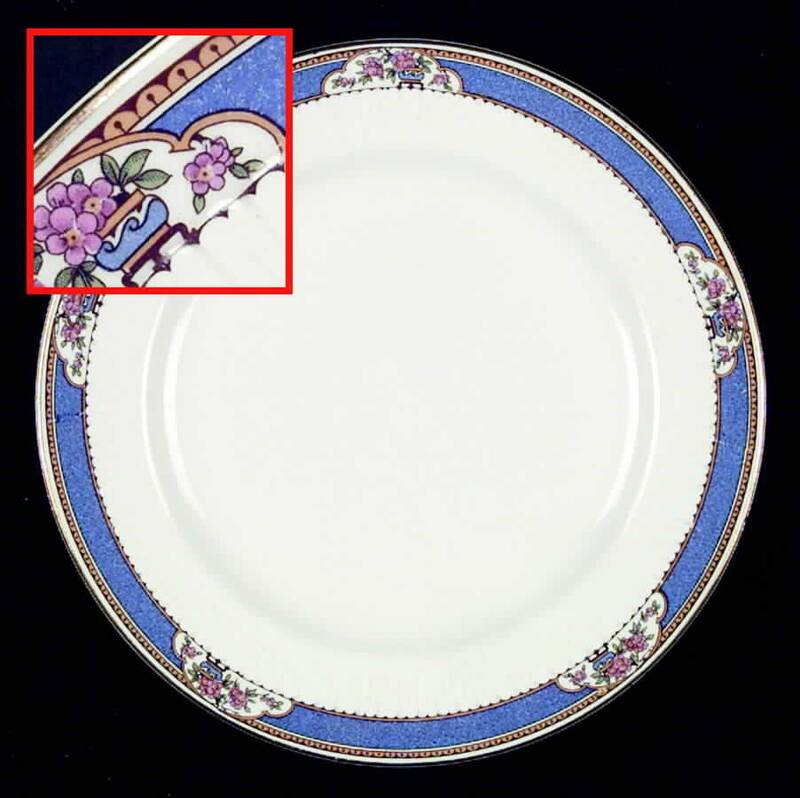 Part of Wedgwood's Imperial Ivory line of bone china, Old Astor features a blue band with inset pink astor flowers and an art-nouveau border band with another embossed band below. 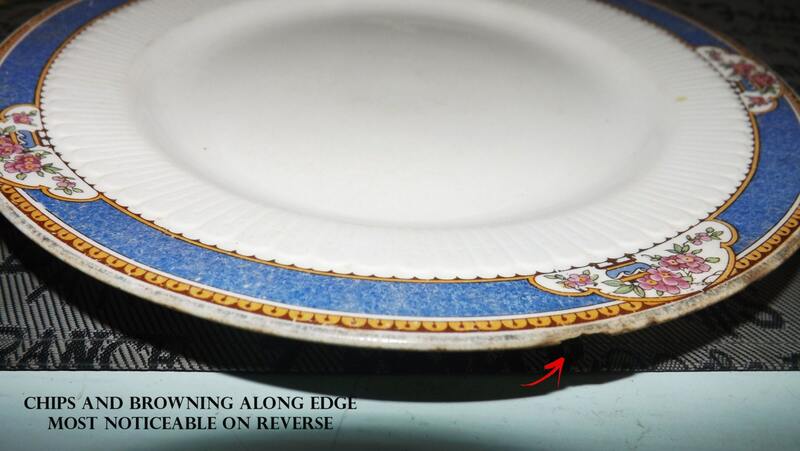 The plate has the impressed Wedgwood marks to base: WEDGWOOD LTD. IMPERIAL IVORY, as well as impressed year marks dating its manufacture to precisely September, 1925. In GOOD! 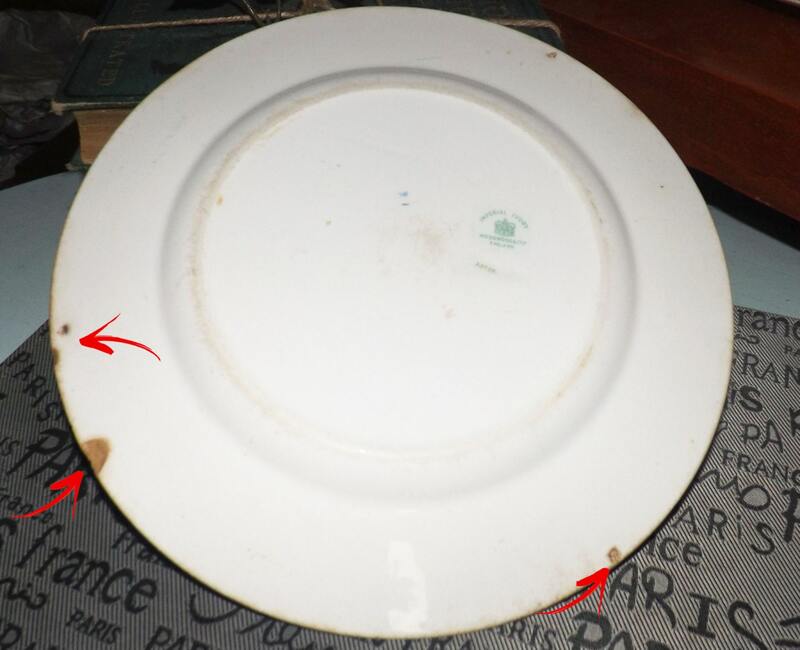 vintage condition, the has a chips to the REVERSE and some browning through the glaze (please see photo 4, specifically) and the front of the plate does exhibit some utensil marks and other signs of wear, particularly noticeable against the white ground. The florals are bright and vivid with NO! appreciable fading. Approximate neasurements: 9" in diameter with a gold edge.